“And they took them wives of the women of Moab; the name of the one was Orpah, and the name of the other Ruth: and they dwelled there about ten years”(Ruth 1:4). There is a danger in thinking that our decisions to sin affect only ourselves. In the case of Elimelech, little did he realize that when he moved to Moab, he would leave his sons with the impression that since it was fine to move to Moab, it must be fine to marry Moabites. How quickly personal standards will drop when we move from the place of God’s will to the place of our choosing!All Israelites knew that they were not to marry anyone outside of the children of Israel. Why did Mahlon and Chilion choose to marry apart from God’s law? Clearly, the opportunity to sin came because they were living outside of God’s will due to their father’s decision to move to Moab. Elimelech’s sin of compromise by sojourning in Moab bred two sins of compromise in his sons. They sinned in their marriages and in maintaining a life in Moab. Friend, you may be continuing in a sin that you have held on to for years thinking it only affects you. You are wrong. It will affect those around you also! Have you moved to Moab? Pack your bags today and move back into God’s will. Did someone else bring you to Moab? Move back into God’s will today! Moab will take you further, keep you longer, and cost you more than you ever planned. “And Elimelech Naomi’s husband died; and she was left, and her two sons”(Ruth 1:3). Death is an occasional visitor to most homes. In the Book of Ruth, death’s visit had orphaned and widowed three people in Moab. These three people should not have been in Moab, but Elimelech had let famine drive him from his home. His death left his family in Moab with only bitter memories. Left alone to raise two sons in Moab—the very thought is overwhelming—Naomi faced the choice forced upon every widow: “What do I do now?” She made her choice, not based upon her faith relationship, nor upon her family relationship; but clearly upon her feelings. “And she was left”says it all. Moab is not the Promised Land. Maybe a famine drove you into Moab. Maybe a death has stranded you in Moab. If you find yourself in Moab, get out! Under Satan’s influence, Moab will continue to take from you and leave you empty.You say, “There is no way I can get any emptier!” Friend, if you read ahead, you will see that Moab will also take Naomi’s two boys and a daughter-in-law. Though Moab can threaten to leave you alone and take everything from you, Moab cannot take away God’s guiding hand. God’s hand can bring you home again from Moab. Many times in our study of the Bible, we search for the meaning of people’s names to help us identify their character. In the Book of Ruth, one of the central figures is a man named Elimelech. Elimelech’s parents chose to name their child a name which meant “My God is King.” Each time their son heard his name, he would have to contemplate that his name indicated his parent’s desire for his life. “Now it came to pass in the days when the judges ruled, that there was a famine in the land. And a certain man of Beth-lehem-judah went to sojourn in the country of Moab, he, and his wife, and his two sons”(Ruth 1:1). Sojourning in Moab should be a startling phrase for the believer! Elimelech, an Israelite, felt it necessary to leave the famine in Bethlehem-judah for the land of Moab. Scripture indicates that his plan was only to sojourn in Moab. When one sojourns, he desires to be a temporary resident in a place. The verses following reveal that Elimelech’s family first continued in Moab (Ruth 1:2), and then ended up dwelling in Moab about ten more years (Ruth 1:4). Although a temporary famine made Elimelech leave Bethlehem-judah, his family did not leave Moab when death, disappointment, disease, disaster, and discouragement came to their home. Odd, is it not? He left a famine in the land and ended up with a famine in his soul.When a man takes himself out of God’s will, he ends up losing far more than he ever intended to give. What would make a man leave the “House of Bread” (Bethlehem) in the “Land of Praise” (Judah) for the land of the incestuous son of Lot (Moab)? Who could make a man believe that bread in Moab would be better than a tough time in the Promised Land? The answer is simple—no one but Satan! Satan still takes people and convinces them that a sojourn in Moab is better than staying in God’s will and watching God provide. Has your sojourn in Moab led you to continue or even dwell there? Time in Moab saddens the heart, drains the soul, and skews your thinking. Even if you have to come back empty, find the prayer train out of Moab and come back to Bethlehem-judah today. 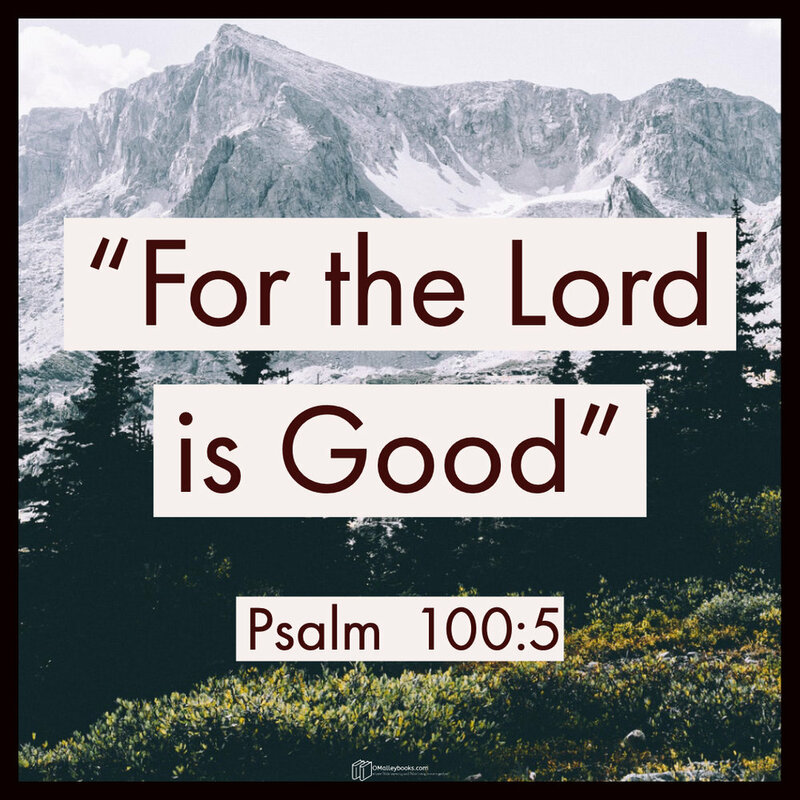 “Serve the Lord with gladness…” (Psalm 100:2). I have been in homes where there were servants in abundance. I met servants who prepared the food and managed hospitality in the home. I met servants who cared for household tasks from cutting the grass, to washing the laundry, to managing the repairs of the automobiles of the owner. In those encounters with servants, it was rare to see a servant overcome with gladness in their work. While some were glad for the income, others were satisfied for lodging and meals. Others, I recall, loved the stability of work but did not like the position of serving. These same servants would be happy doing something else if the pay were better. Most people in the western world would consider being a servant demeaning. To most, being a servant sounds menial. They find it degrading and unfulfilling. Some would think that serving others diminishes their self-worth. The psalmist opens the second verse with a phrase that appears to be oxymoronic. He calls those who are commanded to make a joyful noise to now serve. He tells them to serve the Lord with gladness. How can one serve with gladness? It seems to go against the grain. The follower of Christ is called to serve the Lord. He or she must serve the Lord with a specific disposition or mindset. The psalmist says they are to serve Him with gladness. What does gladness in a servant look like? Gladness is the joy of a mother when she is with her child. It is the delight of a prisoner upon being freed. Gladness is the feeling associated with singing your favorite song before the Lord in public or private worship. Proverbs 10:1 helps me learn the meaning of gladness. The writer of Proverbs presents a contrast using the parent-child relationship. The son that is wise makes his father glad; but if a son is foolish, he brings a heaviness to his mother. What a beautiful picture is given here for us! Gladness is the absence of heaviness of the spirit. I would like you to consider yourself as a servant of the Lord. Ask yourself these questions: What is my spirit or attitude when I serve the Lord at my house? Do I display the maternal joy mentioned above as I serve the Lord by meeting the needs of my children and spouse? Do I have the liberty and delight of a prisoner released from their confines when I serve the Lord in my house? Does the song of my heart find its expression in signing? Do I have such gladness in my service? Have I lost delight in my service to the Lord and others—even among my own family? I want you to extend your vision beyond your heart and home. This extended look is to see whom you could encourage to serve the Lord with gladness. There could be people in your place of worship that may have lost their gladness in serving. You may be able to help them find their gladness in service. When your fellowservants of the church come into view, what do you see? How many are there who appear to be serving the Lord with gladness? When the servants of the Lord lose their gladness, they display an image opposite of this proposition in Scripture. We are to serve the Lord with gladness. When you see those who teach in Sunday School, do you see gladness? When you see ushers and greeters, do you see gladness? When you see choir members and soloists, do you see gladness? When you see the church staff, do you see gladness? If the gladness can evaporate out of your life, you know it can do the same in the lives of others. Now, I do not want you walking around the church with a gladness meter measuring the levels of gladness in every servant's heart! What I want you to do is if you see a servant without gladness, pray for them. Then serve alongside them and exhibit gladness. You will discover that gladness is contagious. Dear Reader, are you a glad servant? Does gladness arise first when you are faced with a situation to serve? Does gladness show on the outside? Your lips may send one message, but does the attitude of your heart express the Bible’s message of gladness? Today, take an opportunity to intentionally serve the Lord with gladness. Find someone in your home, at work, or in church on whom you can practice serving the Lord with gladness. Have you ever been to a large stadium to watch a sporting event? My son and I were given tickets to a NFL game. The crowd that gathered to watch the game numbered over 65,000 people. People from all over the country assembled. The nation watched by television that Monday night. Many wanted to see this battle of the quarterbacks. The crowd could not be silent; everybody had something to say. The noise in that stadium at times was deafening. The psalmist in our text verse today speaks of all the lands of the earth making a joyful noise. Imagine this planet is a stadium. In each section of the stadium, nations are assigned seats. Now, over the loudspeakers, a call is issued for each nation on earth to proclaim its joy for the Lord of Glory. Like in the Olympics, the roll call of nations would begin—each nation longing for the moment when their nation’s name is called. What exuberance! What exaltation! What enthusiasm! In the Olympics, each participating country sends a delegation to represent them. Have you seen the nations who only send a single athlete? The cheers for that single athlete cannot compare to a nation who sent dozens of athletes to participate. Similarly, in our imagined stadium, the cries from some nations are not as loud as others of the same size? Why not? Why are some nations louder than others? Why is it that there are so few to make a joyful noise from some countries? Oh I say, my friend, it is we the believers who should have gone to the nations and told them of our great Saviour! We should have thought of our command and commission more than the comforts and conveniences of this life. The command will be issued one day, my friend—a command for all the lands of the earth to bow their knees. Every knee will bow, and every tongue will confess that Jesus is Lord. The celebration of the Saviour from all nations will be splendid. Oh may we take the challenge from Scripture and go to the people of the world and tell them of His great love. Oh let us commit once again to the task of getting the gospel to every creature! Today, purpose in your heart that in the next twenty-four hours you will share the gospel’s message with someone. Your witness may be their last opportunity to hear. Will you do this?